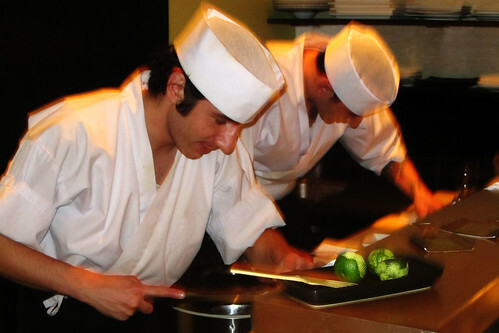 Im a purist when it comes to sushi-- but the secret location of Ou seductively described by New York Magazine, the fact that David Bouhadana was trained under Morimoto, and my openness to try fusion food convinced me to eat here. 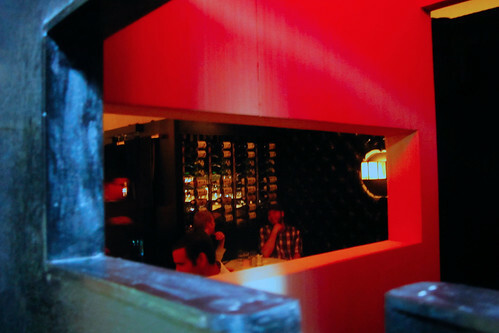 Alas, if you like Dos Caminos Mexican food, you may like Sushi Ou. Its that same feeling of 'authenticity'. This may sound wrong--but when I walk into a sushi joint, I expect to be surrounded by Japanese/ some Asians--at least one. Instead my dining partner and I were the only token Asians. Okay, I know, were not the only ones who can appreciate sushi. Fine. But if another person next to me orders a california roll...I swear. Whatever. Ill stop worrying about my surroundings-- Ill focus on the food. We ordered majority of chef's choice (omakase) and then a few of our own nigiris. IF you do decide to come here (but there are so many outstanding sushi restaurants in NY, Id really skip Ou)--come here for the nigiris. 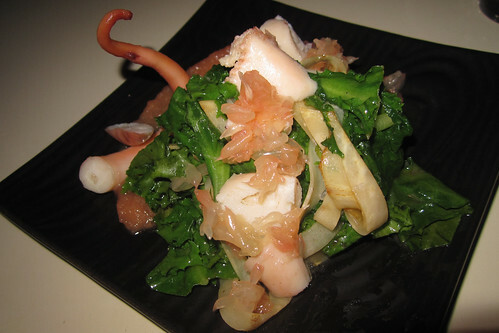 I can not complain about my live scallop, orange clam, octopus, abalone and uni-- but I still would not come back. The wait time for our food took a while, so the chef sent our table the octopus confit on the house until our sushi came. Not bad, but still on the fence about the tangy tartness from the grapefruit. The Classic Chef's Choice of 12 piece sashimi left no impression on me-- besides the fact that they do not give you ginger to cleanse your palette. Who does that? 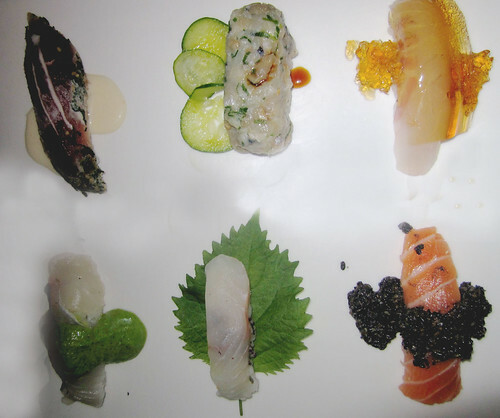 The Omakase Nigiri Plate--too creative for me. The weirdest one was salmon with black sesame paste (bottom right) and the striped bass with jelly (top right). I can say for sure now that I like my classics. Conclusion. Not my type of sushi. I prefer Yasuda and Ushi.